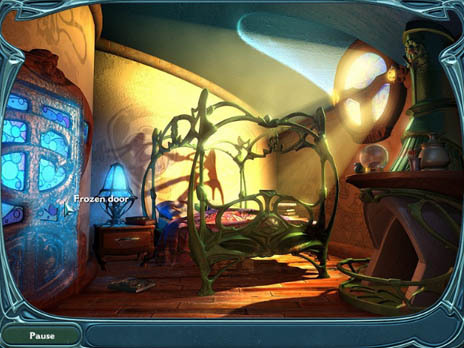 Dream Chronicles Game is a hidden object game, one of more than 400 free Games you can download and find at Free Ride Games. Faye is the only mortal awake in the entire town on Wish. The rest have all been sent to a deep, magical sleep by Lilith, the Fairy Queen of Dreams; their only hope now rest on Faye's shoulders. Through 32 breathtaking levels. Download Dream Chronicles game it's 100% Free!! Featuring beautifully drawn and rendered artwork as well as enchanting music, Dream Chronicles is a hypnotic ride through a dreamlike landscape. Each of the 32 levels is filled to the brim with a variety of puzzles, mini-games and secrets that add to your score. Beautiful artwork, immersive music and challenging puzzles make Dream Chronicles a Hidden Object game any fan of the genre will enjoy. * 18 hidden object environments. * Beautifully rendered artwork and enchanting music. Qweas is providing links to Dream Chronicles Game 2.5 as a courtesy, and makes no representations regarding Dream Chronicles Game or any other applications or any information related thereto. Any questions, complaints or claims regarding this application Dream Chronicles Game 2.5 must be directed to the appropriate software vendor. You may click the publisher link of Dream Chronicles Game on the top of this page to get more details about the vendor.